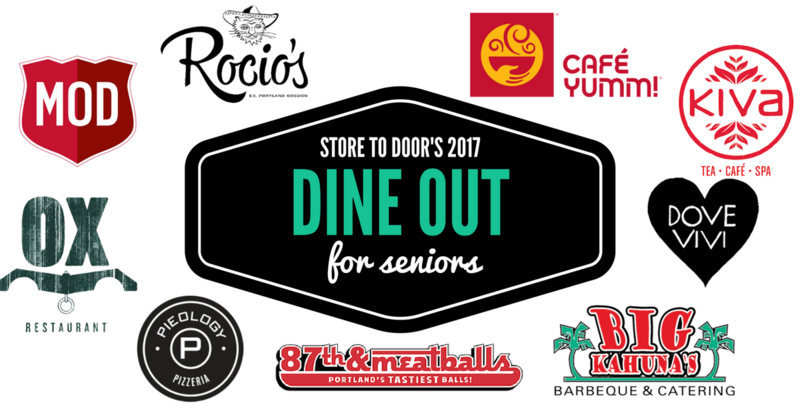 Store to Door’s 2017 Dine Out fundraiser is coming up on Tuesday, May 30th. All day long, 8 Portland restaurants will be serving delicious food while donating proceeds to Store to Door. One of these restaurants is MOD Pizza on SW Yamhill St. If you show them this flyer (printed or digital), they will donate 20% of your bill to Store to Door! 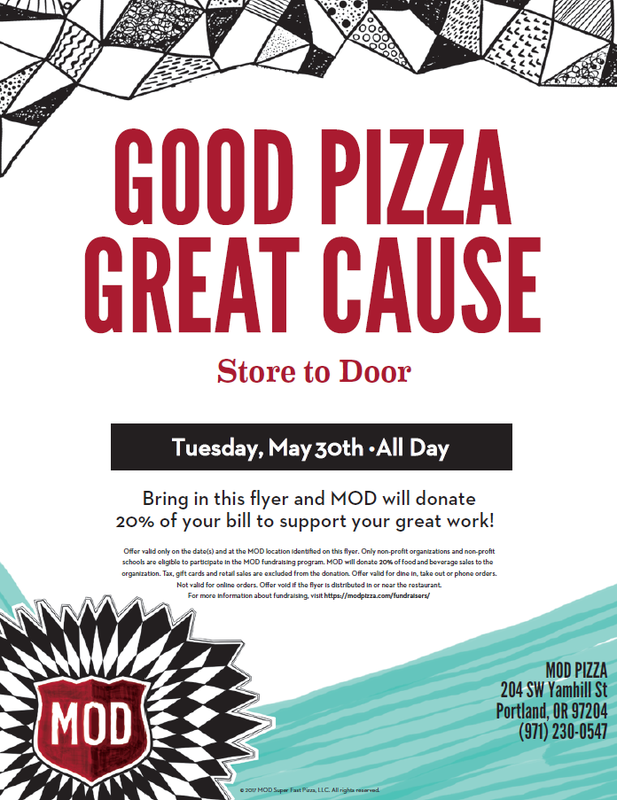 Don’t miss this chance to enjoy a tasty pizza while supporting Store to Door! 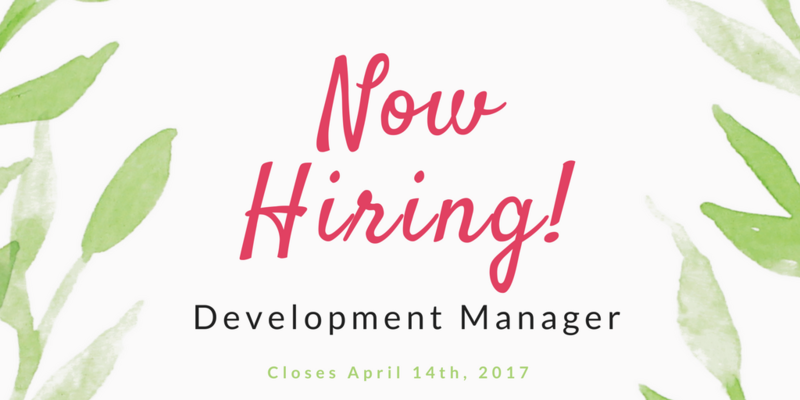 Store to Door is seeking a dynamic individual to join our team as the Development Manager! Position Summary: As an active member of the leadership team, the Development Manager works closely with the Executive Director, Volunteer & Outreach Manager, and the Board of Directors to develop and implement the annual fundraising plan and to expand philanthropic support for the organization. Store to Door offers paid vacation, holidays and sick leave, a healthcare stipend and twelve hours of paid employee volunteer time off. We have a very client-focused culture. Please include a paragraph in your cover letter detailing how the mission of Store to Door connects with your interests. May include participation at actual events. Hours may be completed at the Store to Door office, at events or remotely from home. Application Deadline: Review of applications will begin immediately. Position is open until interns are selected. The Development Intern will support Store to Door’s efforts to reach its funding goals. The intern will provide assistance with the office and administrative functions of fundraising. In addition to making phone calls and assisting with mail-outs, Development Intern will update and maintain the GiftWorks donor management database, which serves as a valuable resource for Store to Door. Reports to the Executive Director. Better understand the processes for fundraising and development work. Please send a cover letter, resume, and typed responses to the supplement short-answer questions to Amanda McIver at Amanda@StoretoDoorofOregon.org. Why do you have an affinity to older adults and people with disabilities? What attracts you to this Store to Door internship? What gifts, interests, or skills might you share with Store to Door through this internship? How will this internship contribute to your academic studies and career direction? or call 503-200-3333 ext. 008 for more information. Store to Door will be closed between December 19th and December 30th. There will be no order taking, grocery shopping, or delivering during this time. We will see you all again in the new year! Please join us in welcoming our new Development Director, Marianne Back! Marianne comes to us with 8 years of fundraising, events and public relations skills. 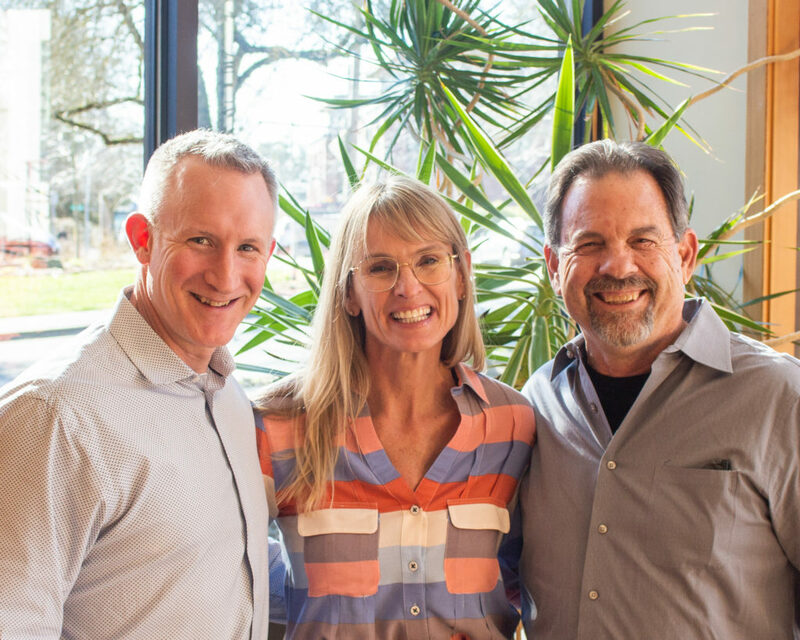 At her most recent role as Development Director for the United Way of the Mid-Willamette Valley, she raised $1.4 million in revenue through corporate, government, foundation, and individual support and an additional $200,000 through other fundraising products, vehicles, and events! 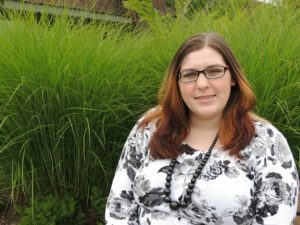 She earned a BA in Communications: Public Relations from the University of West Florida and is a certified grant writer as well. Yes, she has the fundraising “chops” that we seek, and even more importantly, she has a strong connection to Store to Door’s mission. Marianne said, “Store to Door serves a demographic that is close to my heart. Working to ensure that the elderly and disabled live a quality life is precious to me on a personal level.” Marianne worked closely alongside the Council on Aging and Covenant Hospice in Florida to provide critical services that keep the elderly and disabled as independent as possible.